What's a service like? 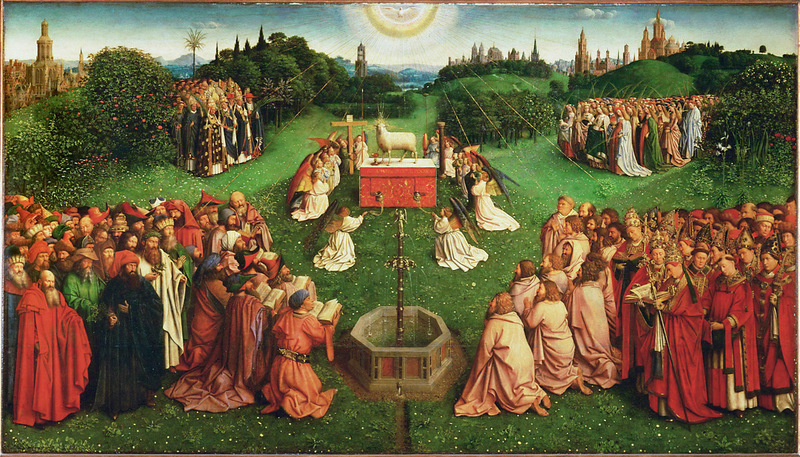 The services at All Saints are conducted in such a way that bespeaks our confession that when gathered around Word and Table we are in the holy presence of God Himself, the Father who created us, the Lamb by whose blood we are redeemed, and the intimate presence of the Holy Spirit whom we have received in the temple of our bodies in the sacrament of Holy Baptism and by whom we are sanctified and made holy. This is to say that services at All Saints are liturgical (traditional) and intentionally seeks to avoid undue influence from the modern culture. What's the music like? A modest sized Wicks pipe organ is used to lead congregational singing of the liturgy and hymns in the Lutheran Service Book hymnal. How do people dress? We have a "come as you are" attitude. What about my kids? Jesus loved all the little children and so do we! Things can get a little noisy during the service because of the children present, but we think that's okay because the church's Liturgy belongs to them too. Our parents are good at recognizing if their child needs to be removed from the service for a few moments. Can I take communion? We believe that when the pastor speaks or sings the words of Christ into the bread and wine on the altar that an unfathomable miracle takes place, by which Christ truly and physically inhabits the now consecrated bread and wine making it his precious body and blood. The "real presence" of Christ in the Eucharist confessed by Lutherans necessarily includes a belief in both a spiritual and physical presence. First time visitors who wish to commune should speak with a pastor prior to approaching the altar. How can I get connected? Simply show up. All Saints is an incredibliy friendly and receptive church to all people. Visitors are greeted warmly but not overwhelmingly. Where do I park? There should be ample room in our parking lot on Sundays. During the week our parking lot is used by the University. In the event that our lot is full, try parking on Main Street between McDonald's and the Post Office.